Over the years hackers have gotten more sophisticated and nasty with the evolution of ransomware. Ransomware is malicious software designed to hold computer folders, files, and video files ransom. It blocks the victim’s access to their data until a sum of money is paid. It ultimately takes your data hostage. CryptoWall 3.0 is the latest threat to PC users. PC World describes CryptoWall 3.0, as a “sophisticated ransomware program that encrypts the victim’s files with a strong cryptographic algorithm.” Users are then asked to pay anywhere between $500 and $1,000 within 24 hours, in order to receive a decryption key that will allow them to recover their files. If the demanded amount of money is not paid on time, the ransom usually doubles. CryptoWall 3.0 is distributed in a few different ways. It can be accessed through malicious websites or legitimate websites that have been hacked and spam email. Hackers are even using forged headers from shipping companies such as FedEx and the U.S. Postal Service to infect PC’s. USA Today reported various outcomes for infected victims. Some have run out of time to pay the ransom and lost everything. Some luckier victims have paid the demanded amount and received a decryption key, getting their information back, while some pay and never receive a decryption key loosing access to their data permanently. These hackers are criminals so it is difficult to know if they can be trusted. While law enforcement and cyber security experts are aware of the growing problem, there is little they have been able to do because of the lengths the hackers go through to preserve their anonymity. It is believed most of the hackers are located in Eastern Europe and Russia. Being proactive is your only defense. Once a computer has been infected, there is little you can do. External drives are good if your drive crashes or if you lose your laptop, but this virus can attack connected drives as well. So they won’t save you. If you work on a Apple computer, you are less likely to be hit, and you also have the advantage of using Apple’s TimeMachine to keep daily backups of everything. The most current security software can block suspicious emails, but regular updates are crucial. Make sure all desktops have the latest updated version of a security software. While the Free versions are better than nothing, paying for a license will help you stay ahead of the game with the latest protections and updates. Client-side email programs like Outlook and MacMail old-school and are susceptible to these attacks because they download email attachments to your PC before you open them. By then its too late. It is safer to use a web based email client like GMail or Yahoo. These online email clients have strong and current SPAM lists and anti-virus monitoring. They also have built-in viewers for certain documents, PDFs, Images, and MS Office files, so you dont have to download them to see them. Its an extra level of protection. Use the most modern browsers available such as Chrome, Firefox, Safari and Edge. Make sure these are running the latest versions with well known vulnerabilities already fixed. 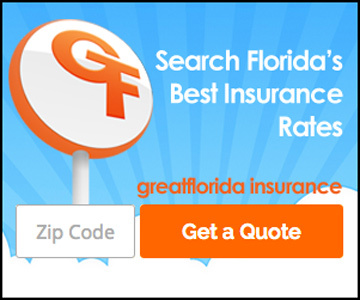 GreatFlorida Insurance takes an interest in our customers and wants to see the best possible outcome in their lives. If you are looking for auto insurance, homeowner’s insurance, health insurance or additional insurance, contact us today. Never open attachments from an unknown or unverified sender. Watch for executable files, those you double click to open. For example: .zip, .exe, .doc, .pdf, etc. NEVER open executable files sent via email from people you don’t know, and even this is not 100 percent.